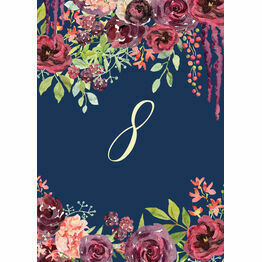 There is a minimum quantity of 10 for this product. 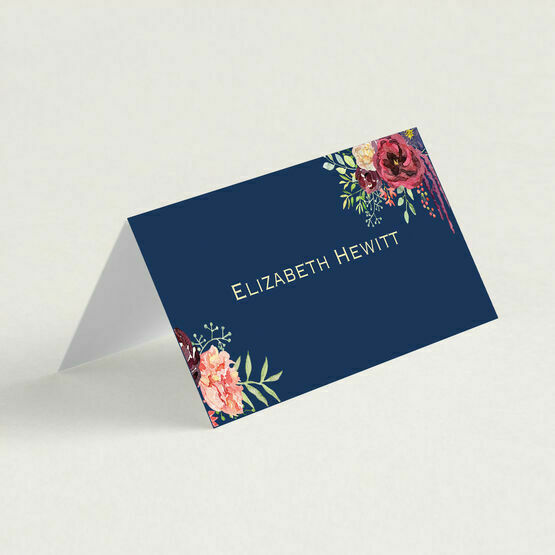 Use these beautiful navy and burgundy floral place cards for your wedding tables and guests will easily find their seats, plus they add fantastic colour to your decorations. 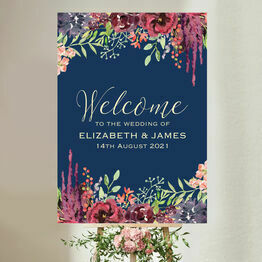 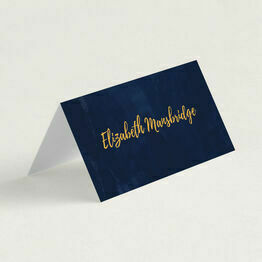 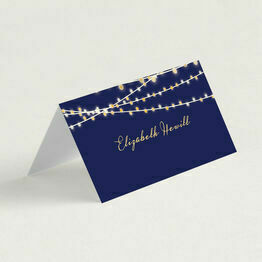 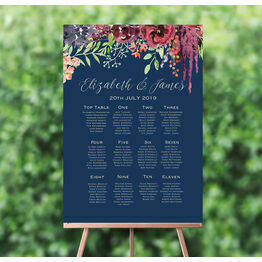 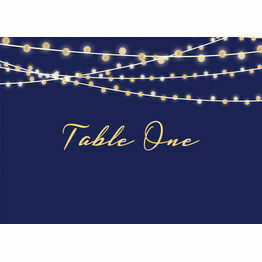 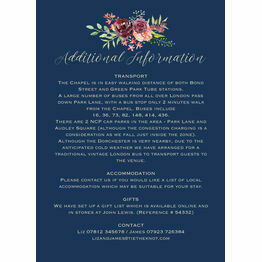 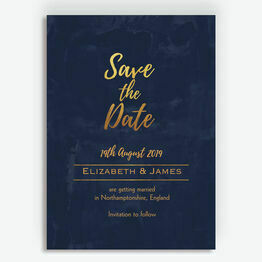 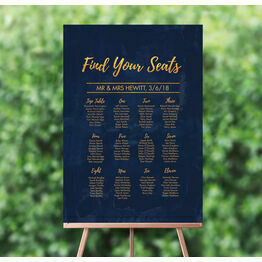 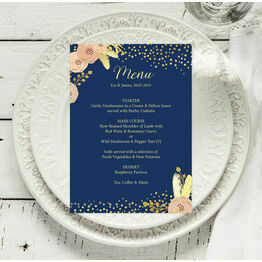 The navy blue background provides the perfect base for the stunning blooms, while elegant text is used for each guests' name.